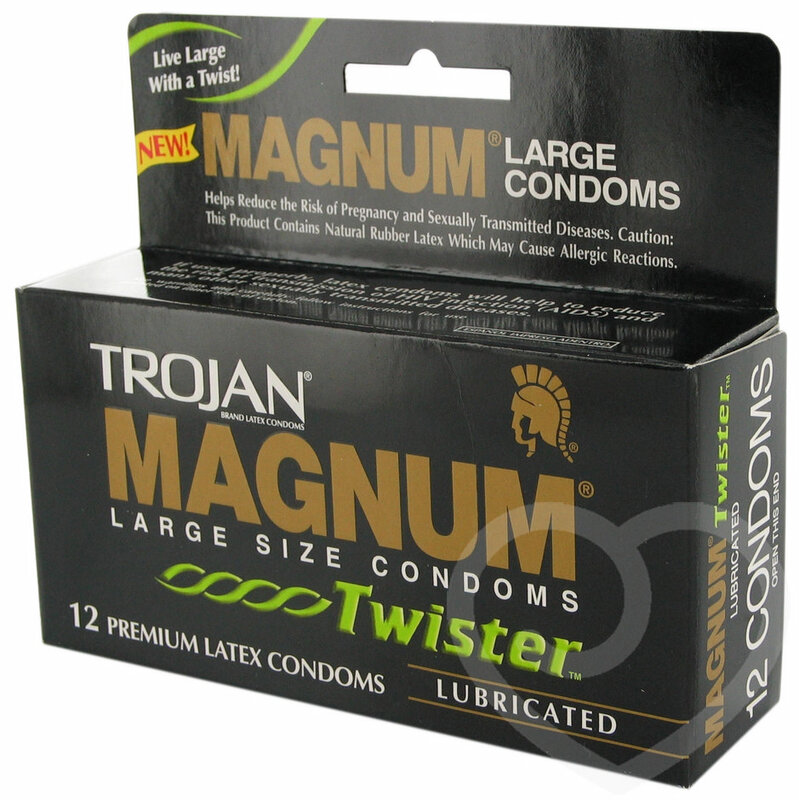 Large size lubricanted condoms with a special (patented!) twist shape to help stimulate both partners in thier most sensitive areas. Tapered at the base for a secure fit. My boyfriend finds regular condoms a tight squeeze. He says the Twister felt so much better and called it a perfect fit. I found the condom easy to roll down. As the Twister is larger than average condoms the comfortable fit made my boyfriend last longer and therefore made me happy. The twists in the condom were also pleasurable. Thoroughly recommended. Will keep coming back to buy more. Easy to roll down, great fit for him means more pleasure for me. Great product, fantastic fit, very pleasurable experience. These condoms are fab! Having ordered a job lot (excuse the pun) of larger condoms to try this box was empty first. The boy found these incredibly comfortable, and the sensation was much better than standard condoms. The only downside was they aren't quite big enough and, to the best of my knowledge, they don't come in any larger sizes. Perfect for the slightly larger gent, but really big boys might still find them a little small. Little too small, bring out more sizes! Fantastic fun and great quality. I has a snugger base... So it doesn roll back up or slip off, and it feels like you have on nothing at all. Nothing... But i do wish they made them in XL or XXL..